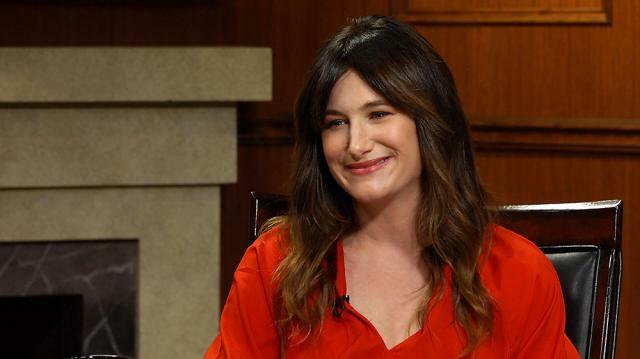 Kathryn Hahn, who stars in the hit Amazon comedy 'Transparent,' weighs in on how long the show's creator Jill Soloway would like the series to go on for. Larry King: Kim Detweiler on Facebook. "I love 'Transparent.' How long do you see that show lasting, and do you think they could make a movie of it?" Kathryn Hahn: Mmm. I don't know if she would. Because I think Jill kind of shoots it as if it was a five hour film. You know, it doesn't have a, kind of a normal breaking of the episodes. So I, I think she said she sees it going for six episodes. I mean- six episodes- I'm sorry, six seasons. Yeah, and we just wrapped the third. Or, it's up.